Para's Expert Stainless is a 45 ACP with a 5 in stainless match grade barrel and steel frame and slide. It has a 2-Dot rear sight with a green fiber optic front sight, comes with a beavertail grip safety, adjustable skeletonized trigger and two 8-round magazines. 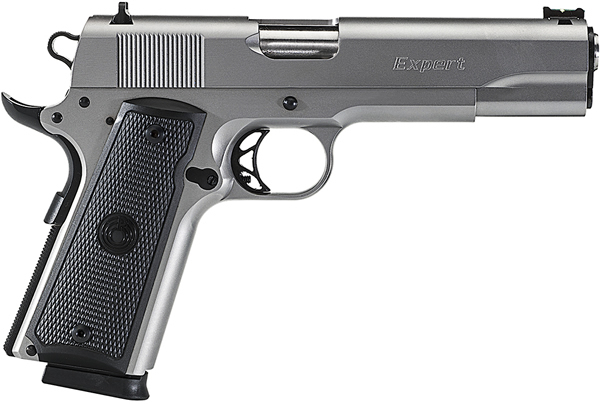 The Expert Stainless has a stainless steel finish with black polymer grips.